This Easter, some people might want to visit your church for the first time in a long time. Will they find your church website? If they do, will they quickly see your service schedule for Holy Week and Easter on your church website? I was in South Florida visiting family. We wanted to attend a Christmas Eve service as a nearby church. My parents had recently moved there so they were unfamiliar with any church to visit. My sister and her husband lived in town, but they were not church goers. We asked a friend from another Florida city for a recommendation. When I asked him where that church was, he said use Google to find it. We went to Google and typed: “Presbyterian Church [insert city name here]”. After all, I am an ordained Presbyterian Pastor, and every now and then would like to visit another church in my tribe. The church my friend recommended did not appear in the first 10 entries. I had to ask my wife what the name of the church was. .. .
Once I found the name, I only find the church website in Google if I got the right name in the search box. Quick fix: This church doesn’t have it’s physical address on it’s home page of the church website. With just a few small fixes on their website they could rise to the top of Google quickly. Question: does your church come up number 1 to 3 in Google for various keywords like your denomination and city? 2. Looking for the time of special services. Because it was Christmas time, we were looking for service times for Christmas eve. It wasn’t on the home page. It wasn’t on the calendar. It wasn’t even in the on-line newsletter. I couldn’t even find their regular service times on Sunday. Question: If you are having special services, can visitors discover it on your church website? Hint: that information should be front and center in your home page. Since we couldn’t find the answer to our question at the church website, we moved on with our search. Ultimately, because of some other scheduling conflict that materialized about 3pm in the afternoon on Christmas Eve, we didn’t get to attend any church on Christmas Eve. How your church website could help you at Christmas and Easter? My experience at Christmas left me wondering. 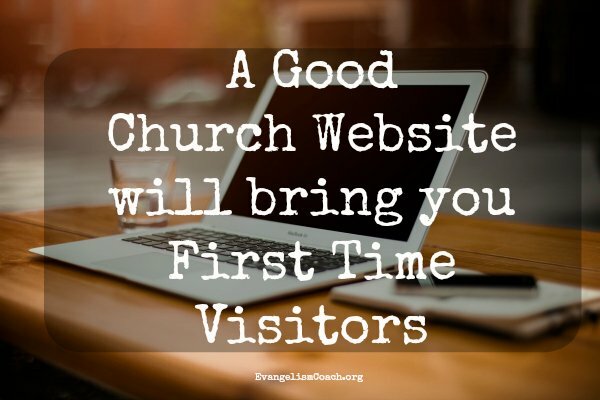 How can your church website help visitors find your church for special services? Are you planning special sunrise services this Easter? Are you planning special services for Holy Week, like Maundy Thursday, or Good Friday? Make sure that information is front and center on your website for the week or two leading up to that event. You don’t know who God might lead to your church. Perhaps someone hearing the Gospel for the first time. Perhaps someone needing to come back to the Lord. Perhaps a new visitor who is moving in from another town. Let your church website help them find your church as God prompts their spiritual thirst this Holy Week and Easter. Sure, you could do it free, but has anyone fixed your church website site in 10 years? Clover Website (affiliate link) is one solution.